My first thought was: panic! My second was: I wonder how many people out there are in exactly the same boat as me, i.e. no prep, no presents bought and wrapped, going down to the wire on Christmas as on everything else. Sigh. 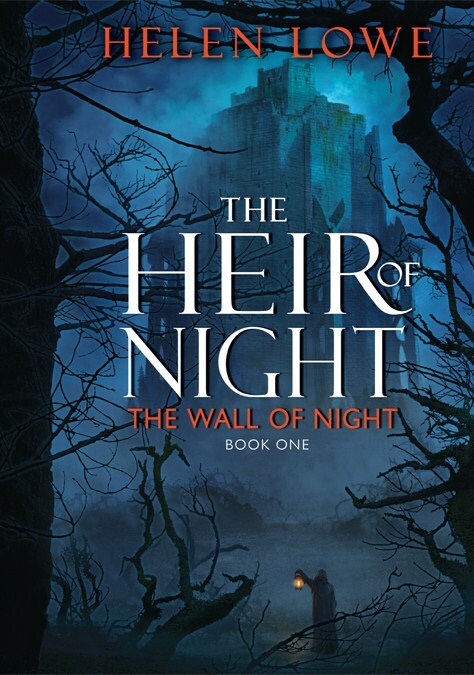 The Heir of Night— for adults and or teens who like classic epic fantasy, adventurous tales, and character-driven storytelling where there’s complexity to the plot. Available from all mainstream book retailers in the USA, Canada, Australia and New Zealand, and internationally via Amazon (et al). 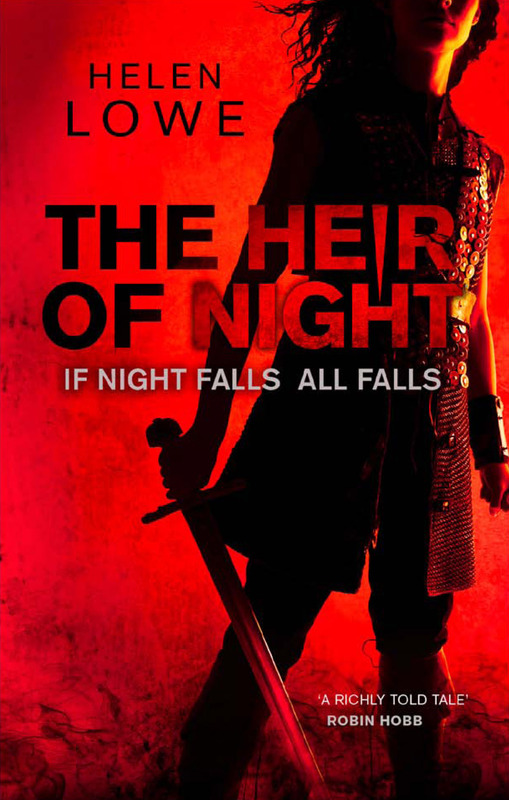 Thornspell—for tweens and young teens (and readers of all other ages) who like fantasy generally and fairytale retellings in particular, especially where they come with sword fights and hunts, mysterious magic and a dash of romance. Available from booksellers in the USA, Canada and New Zealand, although you may have to “order” in Australia; otherwise internationally via Amazon et al again. JAAM 28: Dance Dance Dance (ed. Clare Needham; Helen Rickerby)—The recently released 2010 edition of NZ literary journal JAAM (Just Another Art Movement) contains two of my poems, Giacometti and Oral History as a (very small!) part of a wonderful selection of both poetry, short fiction, photo essays and non-fiction prose by contemporary NZ writers. JAAM is available from a range of book retailers throughout New Zealand or direct from the magazine: click here for details. Another great gift idea for the person in your life who loves NZ short fiction and poetry, or literature in general, would be to give a subscription. across the fingerboards: the 2010 NZ Poetry Society Anthology (ed. Barbara Strang)—the perfect gift for the poetry lover in your life. The NZ Poetry Society anthology contains both the winners and placegetters in this year’s international poetry and haiku competitons (both adult and junior sections.) A further selection of both haiku and poems drawn from entries into the competition—including my haiku winter buddha—have been selected by editor Barbara Strang for the anthology. (Even more shameless? I hope, not quite …) Seriously, if you do wish to give a copy of either The Heir of Night or Thornspell as a gift this Christmas and would like to include a personal dedication for the recipient, if you email me your postal details through my website, plus the details you want included in the dedication, I will send you a signed bookplate by the next day’s post—up until 24 December, of course! These plates have been personally designed for me by Peter Fitzpatrick, the artist who designed The Heir of Night map so they are quite special. But you will have to let me know whether you are giving the “blue” US edition or “red” AUS/NZ edition as the bookplates—like the books!—come in a different size. 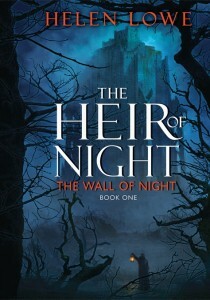 I bought a US version of The Heir of Night for my mother’s birthday and luckily it arrived before the postal strike hit. She’ll have to do without a bookplate though as her birthday is this weekend. But I could always send a retrospective bookplate—let me know if you want me to do that. I’ll ask her if she’d like one. Thanks for the offer! Ok, I have no more excuses. 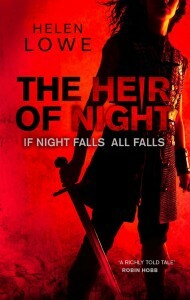 I first heard about “The Heir of Night” a while back on the Orbit website. It sounded excellent and told myself I’d pick it up. Looking at my tbr pile I put off going to the book store. 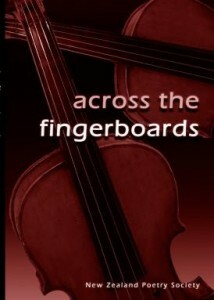 Then I read some reviews of the book that really persuaded me I should read this book. Again, always some excuse that kept me from going out and picking it up. I decided to come on over to this site a few months ago and at least check out what was happening over here. To my surprise I find poetry. My wife and I have picked up the poet bug this past year and began reading and writing poetry and haiku. We found your poems to be wonderful and are hooked on the Tuesday poem blog (though where we live it’s still Monday). We have been wondering where we could find your poetry in print and now you have revealed that to us. Do you happen to have a published book of poetry? Anyway, I have no more excuses. I am going to start strongly hinting at what I want for Christmas. If I don’t receive any literature from Helen Lowe for the holidays I will be greatly disappointed. I am sure I will get over it quickly as I drive to the store to begin my collection! Loved your thanksgiving post by the way. Steve, I am very glad you and your wife are hooked on the Tuesday Poem Blog–I love it, too, and feel very privileged to be part of the community. Great, too, that you enjoyed the Thanksgiving post: those moments of just sitting and taking stock of whatever’s in the glass, or even just that there is a glass, are really important, I feel. And whatever transpires, thank you for visiting “… Anything Really” and for posting today! Oooo, bookplates, hm? How tempting! I’d love one for my own copy of ‘Heir’! And I think I’m going to prepare a great, big, thumping and most unsubtle hint of a post to convince people to buy our books. And no, I hadn’t seen that The Heirof Night made your list and rambunctious status–sorry I’ve been so head-down-tail-up I haven’t been blog checking as much as I should! But thank you for both!! Woooot! Also, check out the latest post on my blog, more shamelessness! Very good re your blog—you will see I have posted this time! And you know, I think it’s totally appropriate that we are “shame-less” about our work: the corollary is that we are “ashamed”, in which case you’d have to question why we are putting it out there into the world. N’est-ce pas? A visit to Wellywood is definitely on the post WALL2 plan!